Horizontal style. 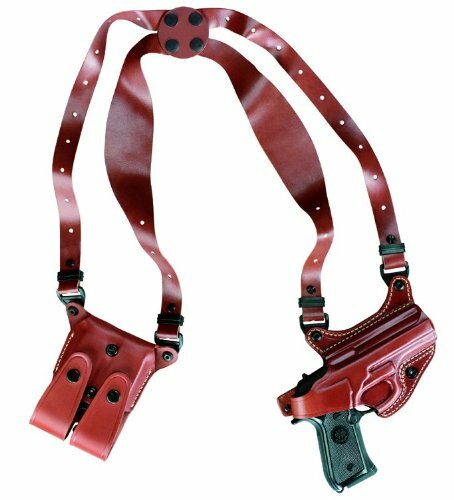 Fully adjustable for comfort, with a back swivel to help straps lay flat for good concealment. Double ammunition carrier. Black non-glare hardware. Gold Line...The finest genuine leather holsters in the world.